Communication is usually the most energy-consuming event on mobile ad hoc networks. Hence, medium access control (MAC) protocols use techniques tomitigate energy consumption on the transmission of data. This chapter presents one such technique, which consists of adjusting the transmission power of the packets. We discuss the fundamentals of transmission power control (TPC), showing their effects in wireless communication and the requirements of TPC solutions. 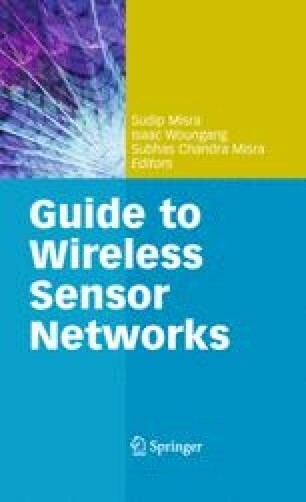 Next, we examine the issues associated with their implementation and show the difficulties of implementing those techniques on real hardware, based on our experience with TPC-aware MAC protocols for wireless sensor networks. We close this chapter with a glimpse of future challenges of TPC-aware MAC protocols on MANETs and WSNs.